This 2012 North Coast Cabernet Sauvignon has been aged for 2 years in American oak barrels, offering rich plum and ripe raspberry flavours with well integrated finely structured tannins. 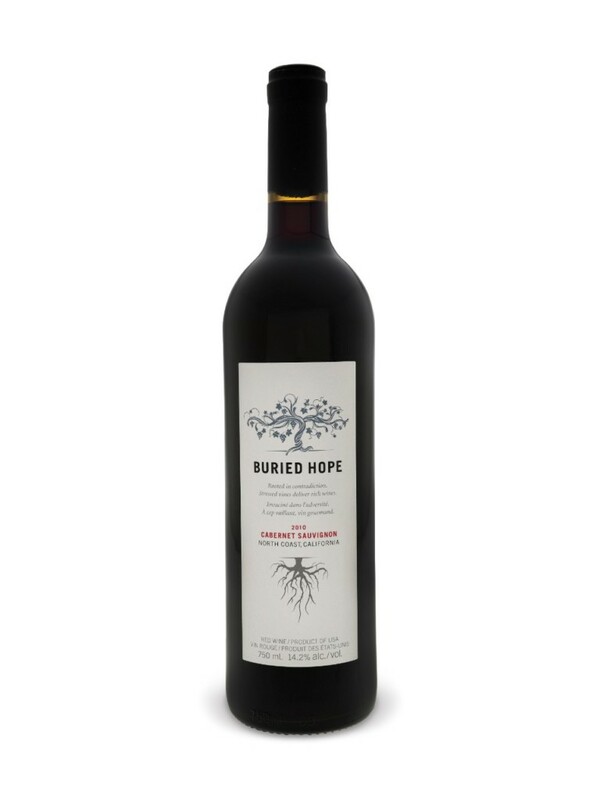 Deep red in colour, with crimson tints, Buried Hope 2012 Cabernet Sauvignon has ripe dark fruit of black currant and cassis on the nose with hints of toasty oak. Best served at cellar temperature, Buried Hope Cabernet Sauvignon pairs perfectly with fuller flavoured meat dishes including lamb, game and beef.